If you have ever wondered why celebrities and media personalities hire stylists, you've probably figured it's because they can. You would be wrong. It's because they can't. They can't risk something as valuable as their public image to personal taste or style. As it's almost impossible to view ourselves objectively (we have far too much information about our personal bias), a stylist or image consultant keeps their image perfect and polished. Actors learn how impactful clothing is by developing a character with the help of a costume designer. They soon discover that their costumes are a vital tool in creating a believable role. Think of your business persona as a character in a movie. What are you saying via your clothing choices? Are you letting your personal tastes and style get in the way of effectively expressing your business? Remember, your image is your brand! Personal style and public image are two entirely different things! Cracking the Style Code....for Men? I've received several complaints from men that I don't offer ideas for them. Well, my focus is to help women, but many of my suggestions apply to men as well! 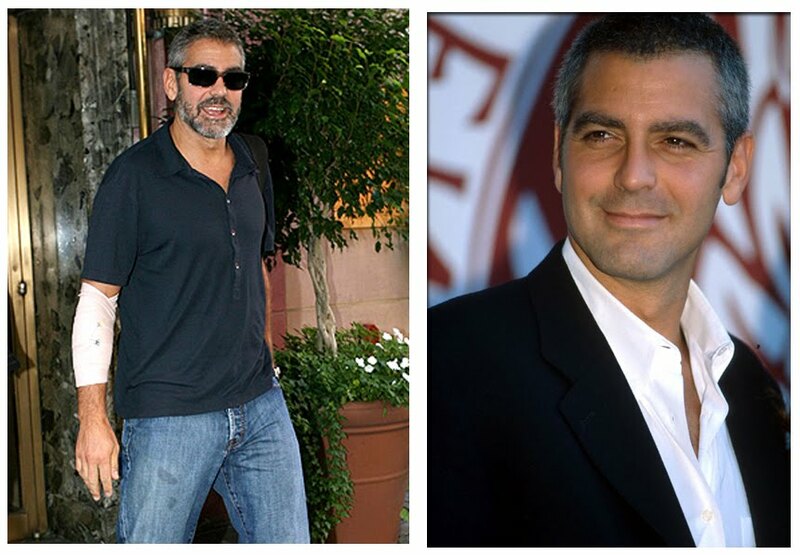 Here are two photos of George Clooney. On the left is his personal style...jeans and t-shirt. On the right is his professional image.... suave movie star. George knows his brand well and probably hires a stylist to keep his image (brand), polished and perfect. Your personal style and your professional image are two separate things. It is important for both women and men to understand that your professional image represents your brand and needs the same careful attention the rest of your business receives!